Metallic Products manufactures metal products used primarily for air ventilation in the construction or overhauling of metal structures. 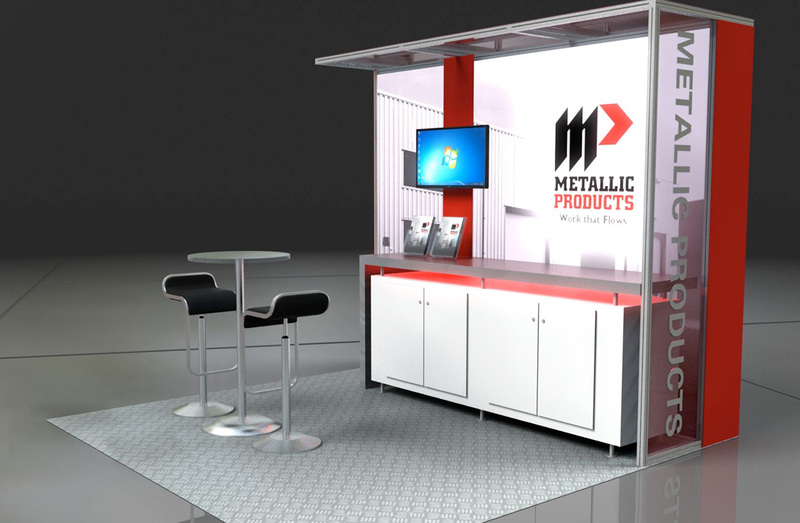 By showing at METALCON, Metallic Products was challenged to expand its presence and market share in this product space. 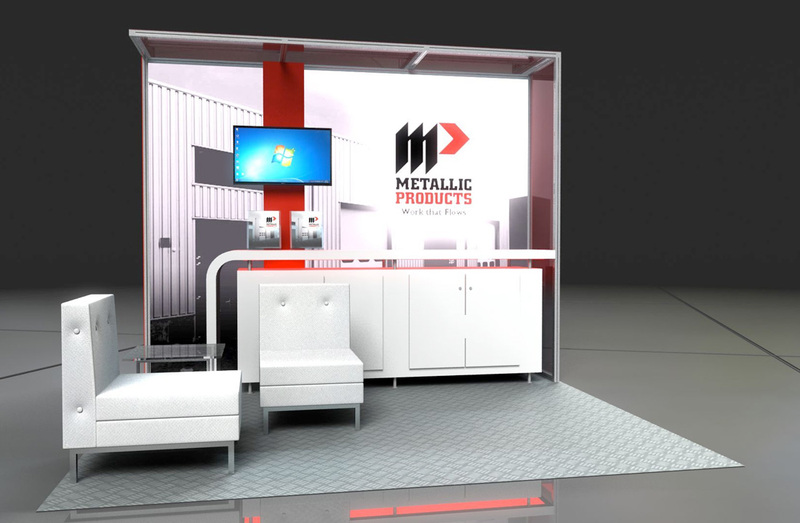 Metallic Products had never promoted their products in a trade show environment. In addition, they were in the process of expanding their product line beyond their signature product – ridges vents – and boost sales of additional ventilation devices such as canopies and hatches. 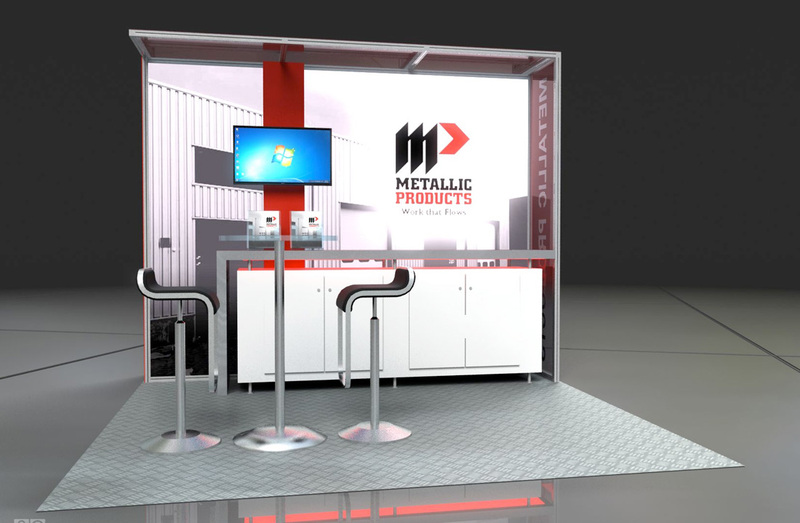 Metallic Products looked to 2020 Exhibits to design a booth and strategy to meet both ends. Metallic Products wanted to go beyond a “pop-up” type display that would stand out and showcase Metallic Products as being a superior manufacturer. Additionally, a series of product videos was to be highlighted in the booth so that attendees could witness product details from the showroom floor. The challenge facing the 2020 Exhibits design team was to introduce all these elements in a way that would stand out in a tradeshow environment and ultimately draw new customers and increase brand awareness. 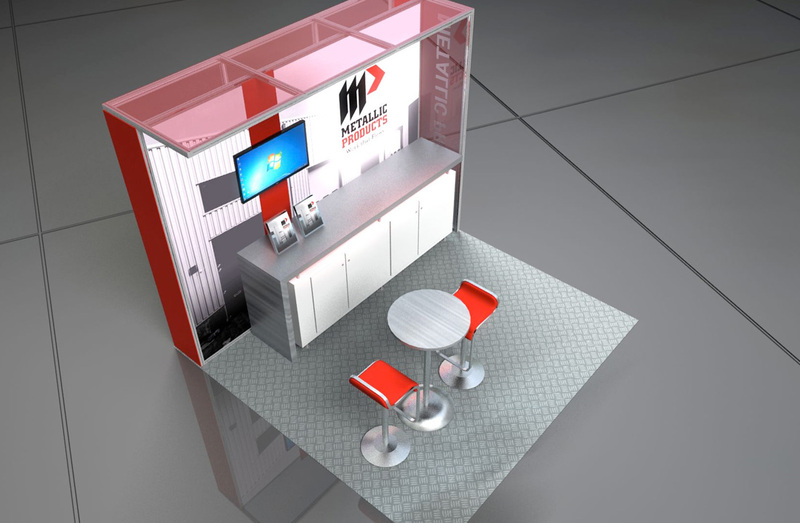 The team designed and constructed a 10’ x 10’ booth that addressed each of the client objectives. Making the most efficient use of space available, the design team incorporated a combination of modular elements, large format graphics, superior lighting design, and top-end AV equipment to create a space that demonstrated the brand strength Metallic Products was aiming for. By designing and installing strong brand imagery in the background graphic paired with message delivering utilities like cabinets and a welcome counter for product collaterals and a video monitor for product demonstrations, 2020 Exhibits was able to deliver an exhibit that allowed the client to showcase the specifics of their product offerings and the strength of their brand.